Back on March 28, 2018 we had a news item about an auction of the remaining equipment at a Caterpillar facility in Waco, Texas. Subsequent to our original news item we mentioned that all of the AFC-Holcroft batch IQ furnaces had been purchased by a used equipment dealer. Well the used equipment dealer certainly didn’t own them for long, we found our yesterday that all of the furnaces were bought by one of the largest commercial heat treaters in the State, Texas Heat Treating http://www.texasheattreating.com/ which has two locations, Round Rock and Fort Worth. These furnaces (which have working dimensions of 36″ X 48″ X 72″ by the way) will be installed in the Fort Worth location where they will join a number of other batch IQ furnaces. 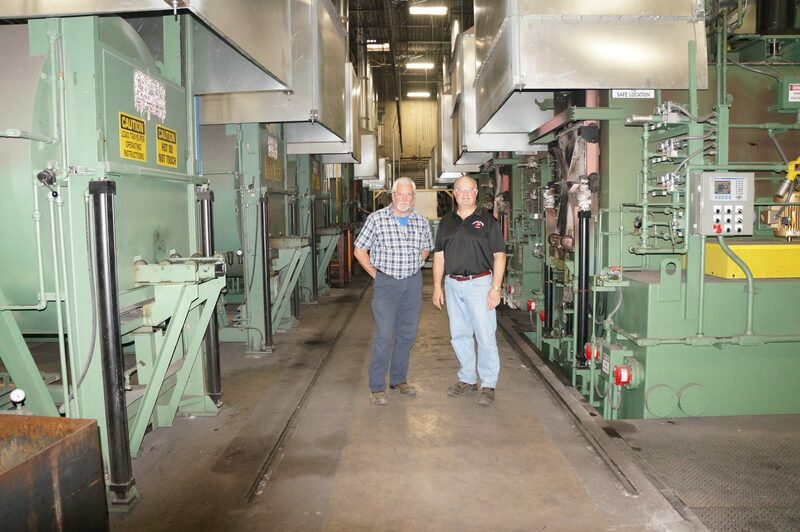 The President of the company Mr. Buster Crossley stated that he has never seen such nice looking used equipment “it looks like it was rarely used”. The one photo below called “Fort Worth” shows the facility in Fort Worth as we saw it a couple of years ago. The second photo shows the equipment at Caterpillar.